India is gaining pace when it comes to adoption of startup culture. Of late, people have started showing faith in out-of-the-box concepts ideated by new age entrepreneurs. Several successful startups have shown their potential to the world. Companies such as Flipkart, Snapdeal, Zomato and Ola etc. are just a tip of the iceberg to corroborate an ambience of new entrepreneurial ecosystem. We have witnessed startups of assorted domains but hardly have we seen companies in the domain of Artificial Intelligence. The inception of Froot Research has ended that drought. It is a R&D based burgeoning company in the arena of Artificial Intelligence (AI). It has a deep-seated focus on innovation, advancement and realization of AI. It is excelling in computational Research, Development and Consulting. It is working with a goal to bring real, human-like or superior intelligence to businesses and everything that touches our lives. Moreover, it is striking chord with academia as well as corporates to advance its research and develop new models of intelligence. 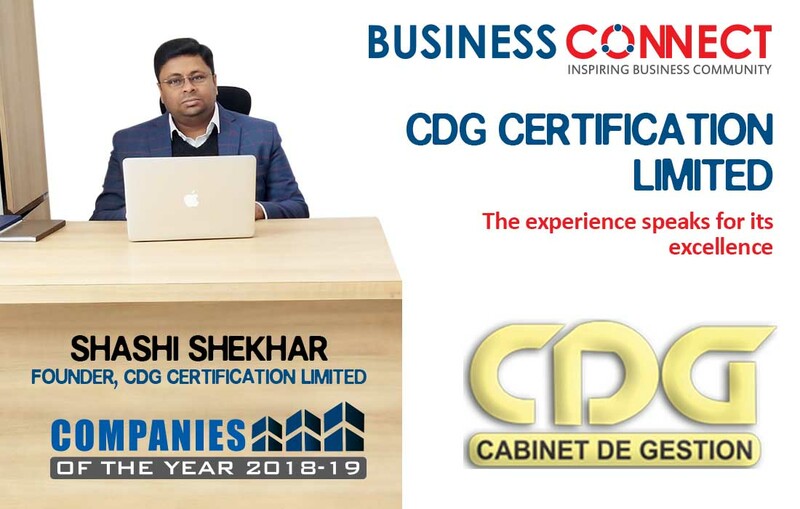 Established in May 2018, initial results of its work have been very promising and have garnered appreciations from customers and partners. And now after garnering industry acceptance, it is filing patents for technology to ensure that IP is protected. Despite being a new entrant, approach of the company has been spot on. Froot’s innovative Artificial Intelligence models are intuitive, target-less, interpretable and based on cognitive research. It cuts down the time drastically to build domain specific intelligent products. This reflects from the fact that in short span it has built a broad portfolio that can cater needs of Telecom, Finance, IP (Intellectual Property), Healthcare, Advertising and content domains. In 2019, it plans to expand its portfolio further to Manufacturing, Logistics and Marketing domains. 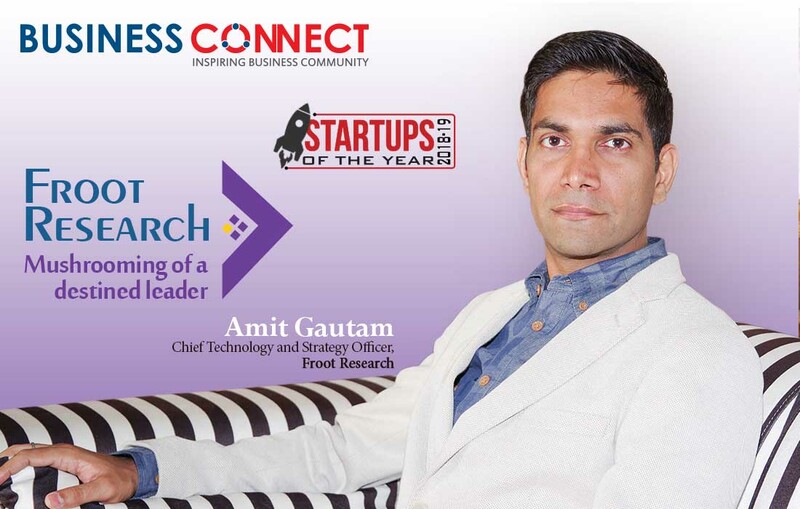 Amit Gautam, the man behind the startup, gained expertise of the IT and AI domains by serving some top-rated companies of Europe and North America. His experience spans more than 14 years. Mr. Gautam had worked in various roles with tier-1 customers like AT&T, Sprint, Vodafone and various vendors. This gave him a deep understanding of the challenges that enterprises face. Having a background in research, engineering and management, he decided to take the bull by its horn and started a company that would build systems that exhibit real intelligence and solve challenges unsolved for years. This became a pillar of the Froot Research. Few years back, people used to stay sceptic about startups but there has been a pragmatic change in their mindset. Investors are now looking for serious research startups in India that work in Artificial Intelligence. By means of its credentials and work, Pune based Froot Research is very well placed to engage them in growth plans. Furthermore, with myriad of entrepreneurial initiatives going on, it just opens up more opportunities to collaborate with others and expand further. The Company is taking giant leaps forward to make machines intelligent, self-aware and self-adaptive so that they could serve the needs of businesses and society. Everything that it does places it apart; from the way it recruits, engages academia, design products to the way it builds road maps. There are many things that differentiate it from others in the field but the key differentiator is its focus on research and on building generic models that find place in various problem domains. To build a culture of innovation, it follows three principles. Be on the edge: It knows what’s going on in research world and it always ensures to build upon the latest and the greatest. Something New: Anything that it builds must have novelty in it, be it the intelligence model, the architecture or even the user interface. Fail fast, fail often: For each task it takes upon, it defines the key success factors. It then develops and test those specific parts first to ensure that it fails fast, if something was to not work eventually. ‘Failure’, at Froot is seen as just a step forward. The AI industry offers a nerve-racking competition for startups but the company takes it as a source of refining itself. This makes it go beyond and to prove that it’s a cut-above. Most of its current products cater to the needs of big businesses. Thus, it works in a B2B model in that context. Apart from its B2B business model, it is also looking to explore opportunities in B2C model by entering Healthcare technology which is of direct value to the masses. When we talk about clients, the company is engaged with at least 2 multi-million dollar companies spread across Switzerland and US that are seen as key players in their domain. Apart from this, it has also partnered with one of India’s 2018’s Top 20 startups in life sciences. In coming years, the company is looking to make an impact in technology as well as social world. The technology adapted by the company is bound to make businesses smarter and faster. Not only this, it wants to help people enrich their experiences and get valuable insights in the areas that matter to them the most. In India, there is a paucity of AI research companies. This gives Froot distinguished advantage. Froot is always accessible to researchers in a vacuum of AI research companies. With strong R&D focus, innovative AI technology under the belt, a clear long-term growth plan and acceptance of product by key market players, Froot is an attractive startup for investors. Few investors have already offered to invest in the startup. It has a 3-year technology road map that involves expanding research in Hierarchical temporal memory, inferential models, signal processing and automated machine learning. It plans to reach out to more and more customers, take the central stage in key conferences and demonstrate the power of its advanced technology. By 2020, it aims to make this novel technology integral part of multiple top 500 companies’ ecosystem.